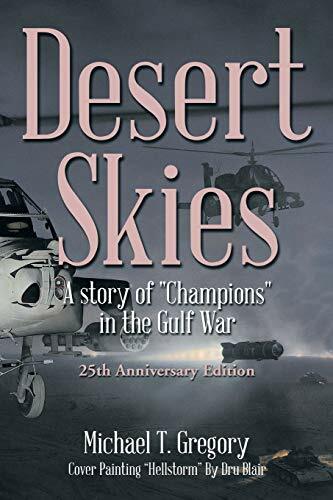 Desert Skies is a novel about Attack Helicopter Warfare in the Gulf War. The first edition was published in 2001. It includes insight into small unit tactics and training, the downsizing of the United States military, ramifications of technological advances and offers a look into potential causes of Gulf War Syndrome. The current edition has been re-edited for the 25th Anniversary edition. Gregory is an Army Officer. For over two decades he has served his country in numerous capacities.